You are here: Home » Supplemental Security Income » When I am applying for SSI Disability, which of my assets are counted against the SSI resource limit? 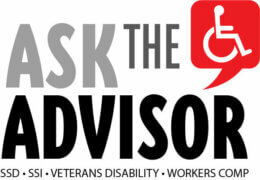 Learn what “resources” means and find out which resources count and which do not when applying for SSI disability. Resources are your assets, that is, things that you own, such as real estate, vehicles, personal effects, cash, bank accounts, and financial instruments like stocks, bonds and insurance policies. The Supplemental Security Income Program—SSI—is intended to provide income to cover basic needs for individuals who do not have sufficient income and resources to provide those basics for themselves. For this reason there is a value limit to the things you can own and be eligible for SSI. When applying for SSI Disability benefits, the value of your countable assets is added up to determine whether the total is less than the SSI resource limit, which in 2019 is $2,000.00 for individuals and $3,000.00 for married couples. Not all resources are counted in determining your SSI eligibility, and we’ll review a few of the excluded resources later in this article. Resource eligibility is determined based on what you own on the first of the calendar month. The value of an asset that comes into your possession counts as income in the month it is received. Any amount of it that is left on the first of the following month is counted toward the resource limit in the following month. For example, you receive an old boat and $1,000.00 cash as an inheritance in February 2019. The boat is worth $500.00; therefore, your inheritance counts as $1,500.00 income in February and you are not be eligible for SSI that month. You use $771.00 of the inheritance to pay your February 2019 SSI overpayment. On March 1, you are again eligible for $771.00 SSI because you have no income and on March 1, your total assets are $265 cash left from the inheritance and the $500.00 boat for a total of $765.00. The Social Security Administration counts the following resources unless a specific exclusion applies: deemed resources, cash, bank accounts, stocks, bonds, land, certain life insurance policies, personal property of significant value like valuable jewelry or art, vehicles with some exceptions, anything else you own that could be sold for cash and used for food or shelter unless excluded. For an explanation of deemed resources, please see our article, Why Do I Have to Give Information about My Family’s Income and Assets When I Apply for SSI Benefits? The home you live in and the land it is on. Burial spaces for you or your immediate family. Burial funds, life insurance policies, and/or burial contracts for you and your spouse, totally $1,500 each. Usually one vehicle if it is used for transportation for you or a member of your household. Retroactive SSI or retroactive Social Security benefits for up to nine months after you receive them. Property essential to self-support and resources that a blind or disabled person needs for an approved Plan to Achieve Self-Support. These exclusions are discussed in With Some Education, I Could Work Full-time and End My SSI Disability Eligibility. How Can I Get Money for Schooling? Money saved in an Individual Development Account. Certain support and maintenance assistance and home energy assistance that we do not count as income. Cash received for medical or social services that we do not count as income is not a resource for one month. State or local relocation assistance payments are not counted for nine months. Crime victim’s assistance is not counted for nine months. Earned income tax credit payments are not counted for nine months. Grants, scholarships, fellowships or gifts used for tuition and educational expenses are not counted for nine months after the month of receipt. Dedicated accounts for disabled or blind children. Disaster relief assistance that we do not count as income. Cash received for the purpose of replacing an excluded resource that is lost, damaged, or stolen is not counted for nine months. All Federal tax refunds and advanced tax credits received on or after January 1, 2010 are not counted for twelve months. The first $2,000 of compensation received per calendar year for participating in certain clinical trials. In addition to a burial plot, SSI law excludes from countable resources burial funds up to $1,500 each for you and your spouse or parent if you are a minor. The $1,500 can take the form of a bank account that is set aside for burial, an insurance policy, or a prepaid burial contract, or a combination thereof. If the total amount set aside for burial exceeds $1,500 per person, then the excess value is counted toward the resource limit. Any amount that is set aside must clearly show that it is to pay burial expenses. This can be done either by titling the account as a burial fund or by signing a statement that indicates the amount set aside, how the set aside was accomplished, the date you first considered it to be for burial expenses only, and for whose burial the money is to be used. Interest paid on a burial fund does not count as income or a resource, but if you spend any of the money set aside for burial on items unrelated to burial expenses, there may be a penalty. SSI rules that govern how trust funds affect your SSI eligibility and payment amount are complex. This article just provides some general information. You may need legal advice from a lawyer if you are applying for SSI and have or plan to have a trust fund. Generally, if you place your income or assets into a revocable trust, all the assets in the trust will count as a resource. If you establish an irrevocable trust and payments could be paid to you from the trust, then the portion of the trust from which the payment could be made is a countable resource. Certain kinds of trusts, such as special needs trusts and some pooled trusts are excluded from this law. Also, in some circumstances a trust will not count if it causes undue hardship. If the trust is not a countable resource, money taken out of the trust and paid directly to you is income and counts to reduce your SSI check. Money from the trust that is paid to someone else to pay for your shelter or food will also count to reduce your SSI check up to the maximum one-third reduction for in-kind support and maintenance. More information about in-kind support and maintenance can be found in our article Why Do I Have to Say Who Lives with Me and Who Pays the Household Bills When I Am Applying for SSI Disability? Money taken out and paid to someone else to pay for things that are not food or shelter, such as a telephone, medical expenses, or entertainment does not affect your SSI payment. If you are working and receiving Temporary Assistance for Needy Families, you may be eligible for an Individual Development Account, known as an IDA, to help you save for your education, the purchase of a first home, or to start a business. In some cases you may qualify for a demonstration project IDA if you are working and have low income and assets, even if you are not receiving Temporary Assistance for Needy Families. If you are eligible for an IDA or a demonstration project IDA, you can deposit money from your earnings to the account. If you are receiving Temporary Assistance for Needy Families, that program may match your deposits to help you meet your goal. The earnings, matching money, and interest put into the IDA are not countable resources and do not affect your SSI benefit. Past-due SSI payments of more than six months paid to a representative payee for a disabled or blind child must be put into a separate account and reserved for special purposes. The money cannot be used for basic monthly maintenance including food and shelter. Therefore, the money in a Dedicated Account is not a resource. If the child continues to be eligible for SSI when he or she turns eighteen, the restrictions on the funds in the Dedicated Account continue to apply and the account continues to be excluded from countable resources. This is true even if the former child becomes his or her own payee as an adult. The following rules apply to the resources of an SSI recipient and to those of a person whose resources are deemed available to an SSI recipient. If you give away or sell a resource, generally the resource will no longer be counted as a resource as of the first of the month following the month of transfer. However, if you transfer a resource into a trust fund, in some instances the transfer will make you ineligible for SSI and in other cases the resource will continue to count as a resource. If you sell an excluded resource for its fair market value, the money you get in the month you sell it is not income, but any of the money that you still have on the first of the following month will count toward the resource limit for that month. You have the right to dispose of your resources as you see fit, but it is important to understand the impact of giving away or selling a countable resource for less than its fair market value. If you give away a countable resource or sell it for less than it is worth, the value of the gifted resource or the uncompensated value of the sold resource may result in your being ineligible for SSI for up to thirty-six months. How long you are ineligible depends on the uncompensated value of the resource you transferred to someone else. Additionally, you may lose Medicaid eligibility. If you have resources that cause you to be over the resource limit, you may be able to get conditional SSI payments while you are trying to sell the resources. For example, you may have a property where you do not live and you are trying to sell it. To get conditional payments while the resource is for sale, you must sign a conditional benefits agreement. Once the property is sold, you must immediately repay some or all of the conditional payments you received. Conditional payments can be made for a maximum of nine month while you trying to sell real estate and up to three months when you trying to sell a personal property such as a second car. After the property is sold, you may be eligible for regular SSI benefits. If you have questions about your resources when you are applying for SSI Disability for yourself or your child, the Social Security Administration or an SSI and SSDI attorney can help you get the answers you need. Why do I have to say who lives with me and who pays the household bills when I am applying for SSI Disability?